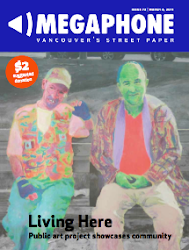 My picture reflects the people living in the Downtown Eastside. I was born in Vancouver, and when i look at it, I see it the way it is now and the changes. At the same time I can see it the way it was. 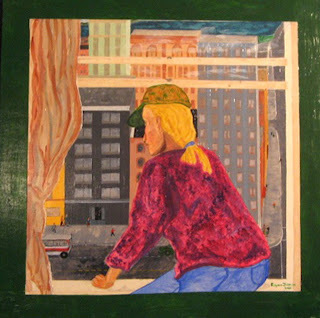 This person looking out the window in my painting could be someone looking out their window right now, or it could be someone looking out their window forty or sixty years ago. That's what I like about Vancouver; the people. You can change the buildings, but you can't change the people. The people are Vancouver's history and its atmosphere. I'm so glad that no one can take that away. In this way Vancouver is the same as when I was small.